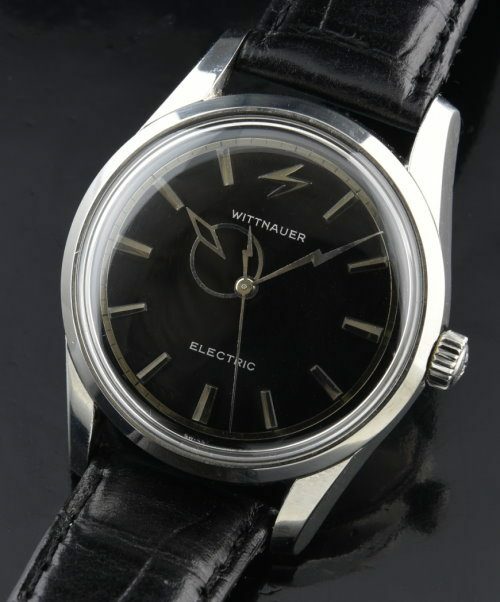 This is the rarest version of the 1960’s WITTNAUER ELECTRO-CHRON having an original and very rare black dial. This watch was recently overhauled and is keeping accurate time. The Landeron 4750 is amongst the most reliable of all electric movements. Notice the very modern and “slick” looking lightening bolt second hand and funky hour hand. The 35mm. stainless steel case is without any dings or scratches. 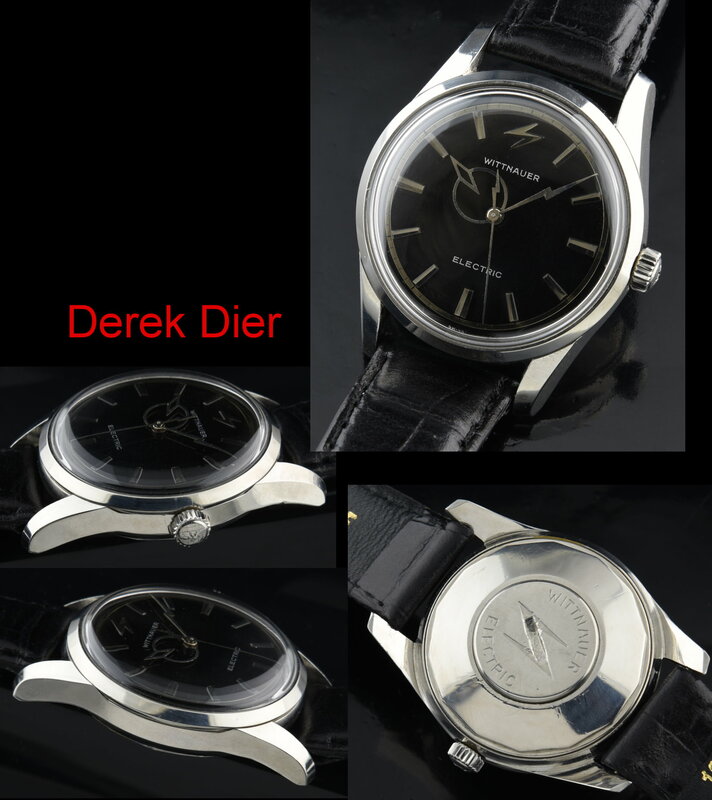 We provided two of these watches to the new Clint Eastwood movie JERSEY BOYS and appeared on the BIG SCREEN…one silver dial and one black. Baseball player Joe Dimaggio’s Electro-Chron sold at auction for $14,000 with a “Yankees” dial. $1195.